About Us: Joshua Plumbing Co.
Joshua Plumbing Co. is a family owned an operated plumbing company, has been providing our customers with the most professional, quality service since 1983. A father and son team, with no additional employees, means our customers get 100% of our time and attention. We strive to meet all of your expectations and needs. We understand that plumbing problems are always a mess. So why hassle with the extra worry of a plumber who leaves an even bigger mess behind. If you're in the St. Louis area, let Joshua Plumbing Co. take the headaches out of your next plumbing project, large or small. Josh Brockmann entered into the plumbing field after graduating from the University of Missouri - Columbia in 2000 with an undergraduate degree in business management. Upon graduation he worked at Boeing for a year and a half. Understanding he no longer wanted to pursue a corporate management career, the opportunity arose for him to join his dad in the growing family business. He enjoys working with clients one on one to fulfill all their plumbing needs and requirements. Josh currently holds a Master's Plumber's license in the City and County of St. Louis. Josh also currently has his Backflow Testing Certification and license. Mike Brockmann has been working in the plumbing field for 35+ years. 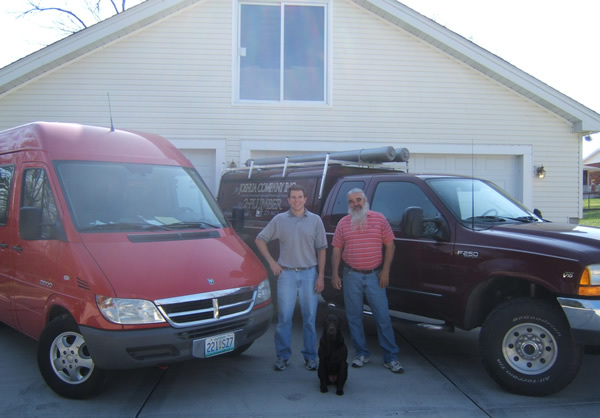 After working for a plumbing contractor for several years Mike decided to start a sole proprietorship in the early 1980's. Being very successful as a one man shop, he never felt the need to take on any employees until Josh joined him in forming a 50/50 partnership and corporation in 2001. Mike currently holds a Master's Plumbing license in the City and County of St. Louis as well as a Jefferson County and the State of Illinois.